When you connect a device to your home network or a Wi-Fi hotspot with internet access, the internet connection may fail to work for any of several reasons. The device will not be able to reach the internet when these failure conditions occur. These DNS server errors may appear for any of several different reasons. Step-by-step network troubleshooting steps can be used to diagnose and repair the problem as described below. Click the Troubleshoot problems under Change your Networking Settings. Click ​Internet Connections. A new Internet Connections window appears. Wait for the troubleshooting tests to complete and look in the Problems found section of the window for the error message. If not confident that your internet connection issues are truly related to DNS, try general connection troubleshooting techniques first. It’s possible for the TCP/IP software inside a client device’s operating system to malfunction and set its DNS server addresses incorrectly. Rebooting a Windows computer often clears these temporarily glitches. A more elegant solution involves running TCP/IP utility programs that perform the standard procedure to release and renew the Windows IP address settings. Similarly, most TCP/IP networks use the Dynamic Host Configuration Protocol service to assign IP addresses to clients. DHCP assigns not only the device's private IP address but also primary and secondary DNS server addresses. If DHCP is malfunctioning, a PC reboot is likely required to recover it. Check to ensure both your device and the network router both have DHCP enabled. If either end of the connection is not using DHCP, internet connection errors normally result. Many people configure their home networks to automatically obtain DNS server addresses from their internet provider. When the provider's servers or network suffer an outage or are heavily loaded with traffic, their DNS services can suddenly stop working. Customers must wait until the provider fixes those problems before they can use the provider's DNS. 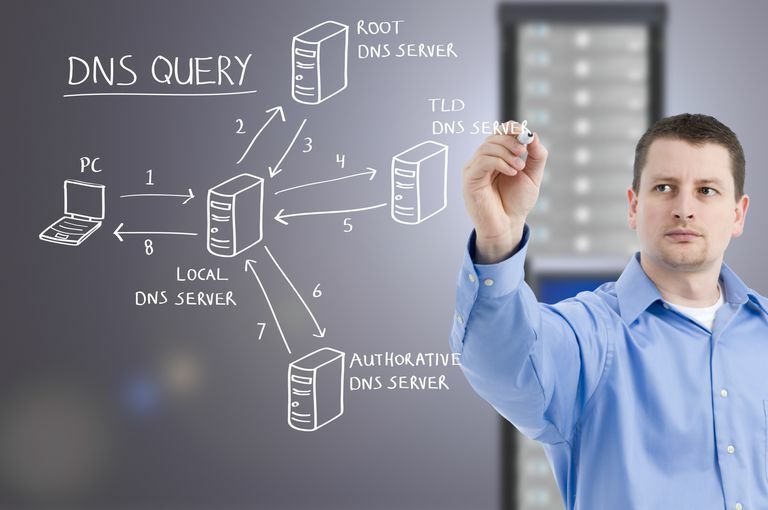 As an alternative to the private DNS servers supported by each provider, several providers, most notably Google and OpenDNS, offer free public DNS servers. A router administrator can switch their network's DNS setup over from a private to a public DNS configuration by manually entering the public DNS IP addresses into the router configuration settings. DNS settings can also be applied on the Windows device itself through the Network and Sharing Center. However, this approach usually will not work as a permanent solution because devices normally obtain and override their local settings with those from the router through DHCP. Antivirus programs that people install on their Windows PCs are designed to keep intruders out, but they also block internet access if they detect a misbehaving device. Most antivirus programs work using special database files that the software vendors automatically update on a regular basis. PC users often don't realize when these install updates happen as they are triggered in the background and designed to not interrupt normal work. Unfortunately, sometimes mistakes are made with these dat updates that cause the antivirus program to believe a computer is infected when really it is a false alarm (false positive test). These false positives can trigger WIndows to suddenly start reporting DNS Server Not Responding errors. To verify whether this is the cause for your device, temporarily disable the antivirus program and re-run the Windows Network Diagnostics. Then consult the antivirus vendor for either a new update or technical support. Although disabling antivirus does not work as a permanent solution, doing so to temporarily to troubleshoot the problem is normally (not always) safe. A misbehaving broadband router or broadband modem can trigger these DNS error messages on home network devices. Restarting the router and modem will resolve intermittent router glitches, at least temporarily. Routers and modems must eventually be replaced if they continue to exhibit failures. However, it is unlikely for either to fail in such a way that would cause DNS errors to be regularly generated. Failed routers and modems normally cannot power on at all or else generate errors related to the underlying network connection itself. If you connect to the router using a wired Ethernet port, try moving the Ethernet cable to use a different port instead.